I went in to Jurassic World hoping to be entertained by rampaging dinosaurs. 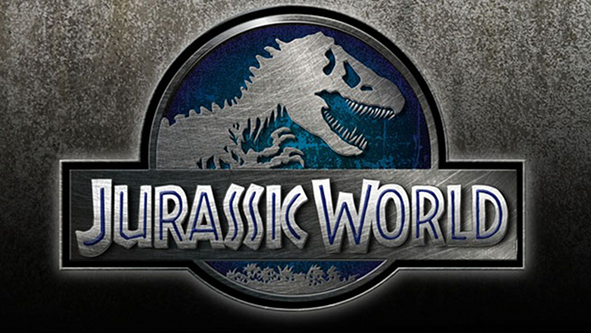 I expected cookie-cutter characters because I watched (and enjoyed) both Lost World and Jurassic Park III. We get both those aspects in spades here, and despite some issues, Jurassic World is a fun romp back into dino territory. Twenty-two years after the events of Jurassic Park, Isla Nublar now features a fully functioning dinosaur theme park, Jurassic World, as originally envisioned by John Hammond. Park attendance fluctuates, so they try to bring new attractions online once every few years, but now they’ve let Dr. Henry Wu create something far too advanced. This dinosaur shouldn’t have been created, and it’s looking to escape. There is lots of mayhem as it rampages through the park, and humanity acts in its typical “we can handle this” way, and misses the mark all over the place as everything falls apart. Dinosaur mayhem ensues, and I love almost every minute of it. One of the things I can hold against Jurassic World is that it seems to rely on CG effects almost exclusively throughout the film. That said, most of it looks damned convincing. 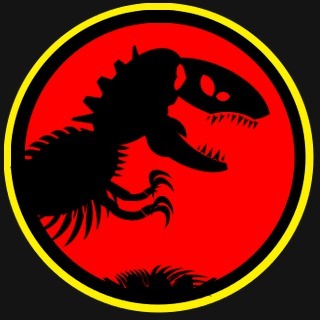 I sat slack-jawed through a bunch of it, but I did notice a few of the dinosaurs could have used some tweaking. I’m sure the shine will wear off a bit on repeated viewings as I pick it apart here and there, but the first time through, in a crowded theater on opening weekend, is great. There are some fairly one-dimensional characters here, and, unfortunately, there happens to be an undercurrent of sexism. But, at the same time, they’ve developed it to make something of a statement against corporate culture, and the way businesses operate while delivering us rampaging dino action. It’s more about humanity and greed than anything else, and that leaves our less-than-developed characters to wallow in their cardboard cutouts. Yes, there is product placement everywhere, but more than one character calls it out as being a bit ridiculous, which happens to be one of my favorite themes in the film. I love seeing the smarter characters calling people out for their idiocy. The whole product placement is there to parody how far theme parks are willing to go to make money. Vincent D’Onofrio isn’t given a whole lot to work with, nor is Bryce Dallas Howard. Aside from the two lead kids, one of them the aloof dino genius, and the other a walking teenage ball of testosterone, D’Onofrio and Howard play the two characters that are the most like caricatures. We do get some development out of Howard’s character, but it’s minimal, and while D’onofrio isn’t given much, he makes what he does have shine, and manages to make something out of what should have been nothing. I like Chris Pratt, but they’d have done better to play him up more to his strengths. While he does fine in the part, there could be a lot more chemistry there if he were let off the leash a bit. The real stars of this film are the dinosaurs, and they steal every scene. John Williams wasn’t involved in scoring this one – he’s got a Star Wars film to worry about – but they liberally use the first film’s themes throughout. Michael Giacchino scores Jurassic World, and though I loved what he did for Star Trek and Star Trek Into Darkness, the only piece that really stands out here is one that uses Williams’ original Park theme. Otherwise, I really like most of what they do with the audio. The Indominus Rex sounds intimidating as hell, and the rest of the dinosaurs match what we’ve seen before. The visual nods and easter eggs scattered throughout the film are very welcome, and I like the little tributes to Stan Winston and Sir Richard Attenborough. 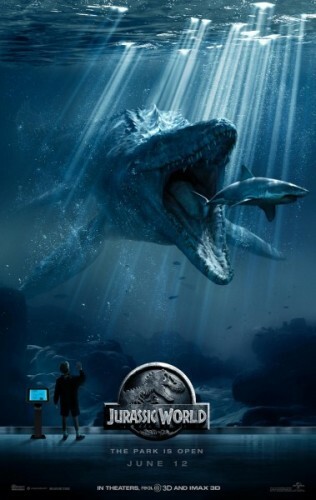 Like Jurassic Park III, Jurassic World follows a bit of the Hollywood blockbuster formula, and while not as good as the first film, it works just as well as the other two sequels. I was one of those dinosaur loving kids, and I don’t know how many times I saw each in the theaters and at home anymore, so this scratches that dino itch in a big way. I have to admit that I got a big ol’ smile on my face when the original T-Rex from the first film makes an appearance. That, and I want my own raptor pack. More importantly, I went and saw this with my family, and each and every one of us came out of that theater with a big grin, and had a fun night out at the movies, and that’s all I can ask for anymore when I drop that much cash to see a film in the theater. Born the same year as Star Wars, it seems Ashe was destined to be into films with big impacts, explosions, and laser swords. With a love for sci-fi and horror, Ashe has a thing for games of both the tabletop and video variety. He is living a charmed, married life of sixteen years, along with several cats, a dog, and a bearded dragon. Ashe currently writes for Diehard Gamefan, covering video and tabletop games since 2008. Starting with Cinefessions just a few years ago, he has decided to tackle one of his original passions: film. My 2year old daughter loves this film! Hell by the time I took her to watch it a night showing at the movie theatre she was quoting the dialogue and singing along to the John Williams score. We did get a couple of looks and even a comment about how inappropriate it was to take a two year old to it. She just loved it and had a blast watching it on the big screen. However after the film the lady who gave us a nasty comment actually had the spine to come over and apologise for earlier comments and remarked on the maturity and development of my daughter and my ability as a parent.